Pressed for time? Click to listen. Tax myths like this one are deceiving. What's the truth? 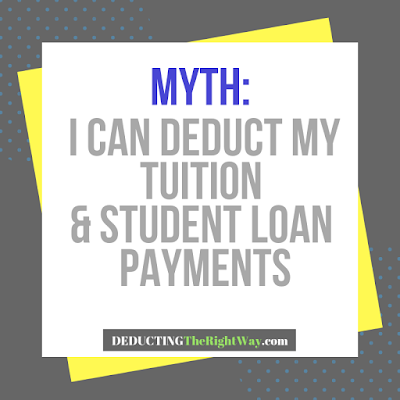 Only limited tax write-offs are available for the education costs incurred for your license, and you must claim them on the correct tax return. Can I deduct my college degree as a business expense? 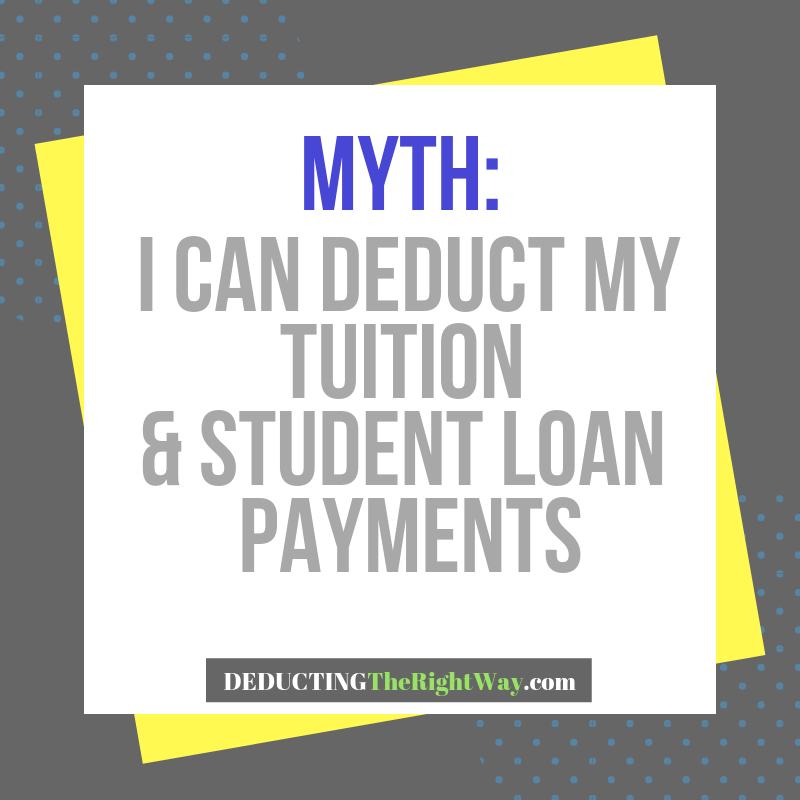 No, you are not eligible for a tuition and fees deduction for the initial degree(s) and license that allows you to enter the field of work you are pursuing. Nor can you deduct the student loan payments. TIP: You may qualify for a higher education tuition tax credit (American Opportunity Credit) and a student loan interest deduction on your personal tax return. Is there a continuing education deduction for my business tax return? Yes, you can deduct the cost of continuing education to maintain the license. So, whether you're an attorney, accountant, real estate agent, or other licensed professional, your business tax return can list the fees for attending CE/CLE/CPE seminars, webinars, and self-study courses. However, the license must pertain to your line of work. For example, a property manager license is necessary to facilitate working at your property management business. You cannot deduct the CE when you've gone into an unrelated field such as selling ice cream cones out of a food truck.